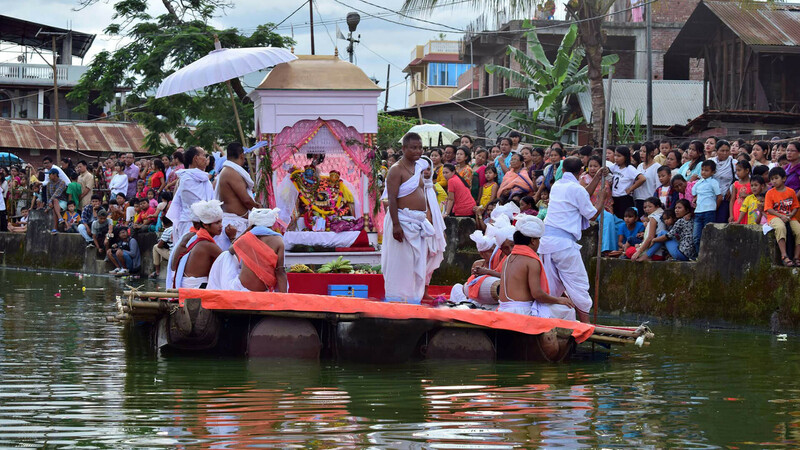 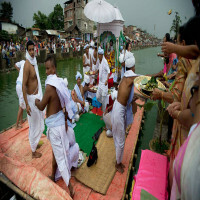 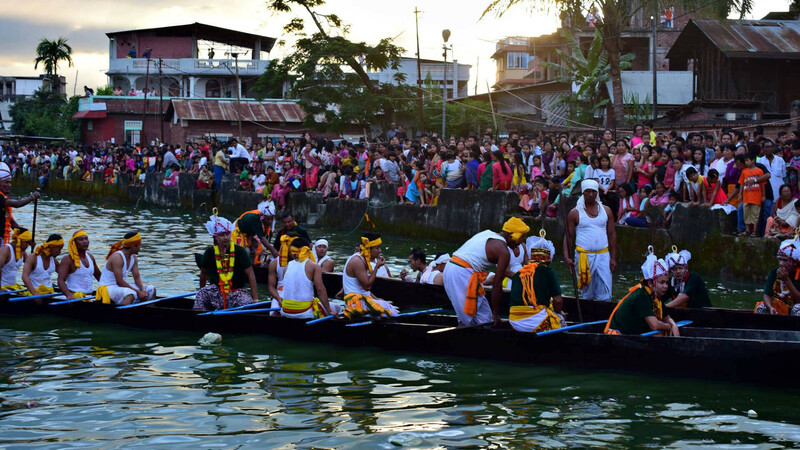 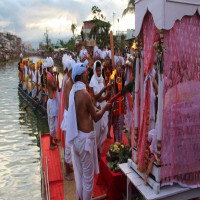 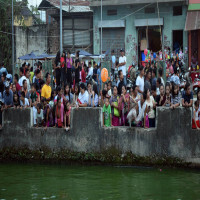 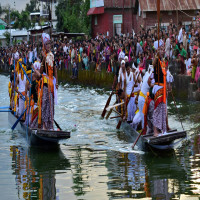 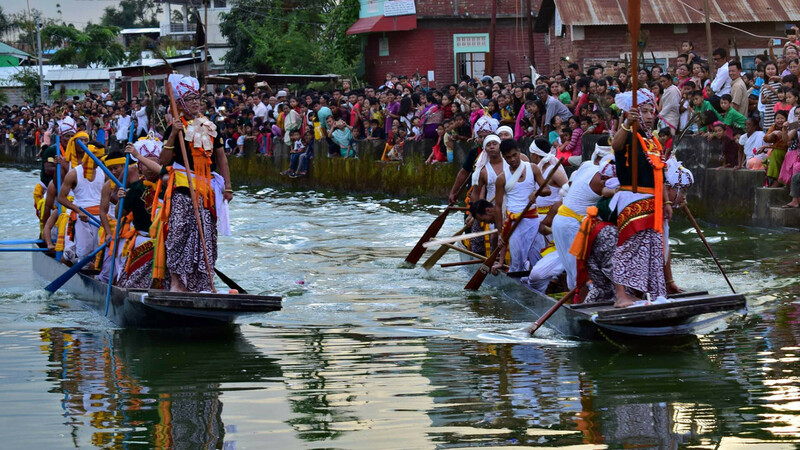 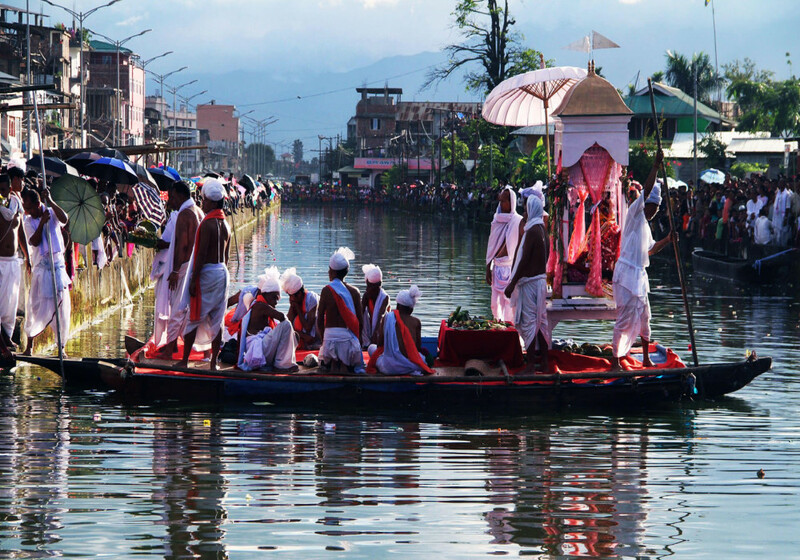 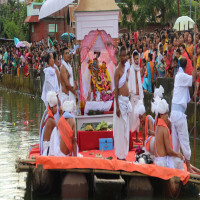 The most joyful festival is this annual boat race which takes place every year for fun and entertainment of the locals as well as the tourists visiting the place for its uniqueness. This boat race happens in the canal area near the Govindajee Temple. It is a fun-filled festival which is supervised by the deities. 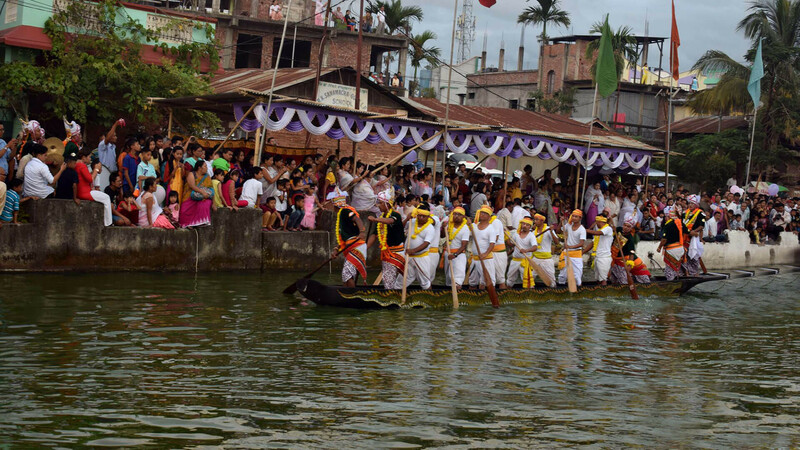 The competition starts with rowers coming down with narrow and long boats fighting for a win. 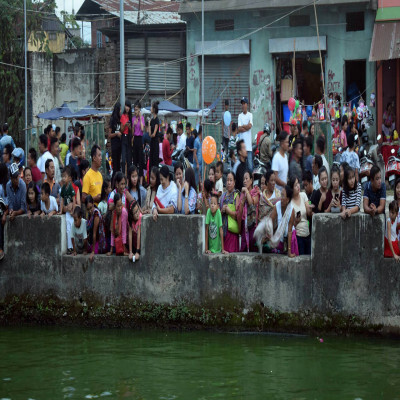 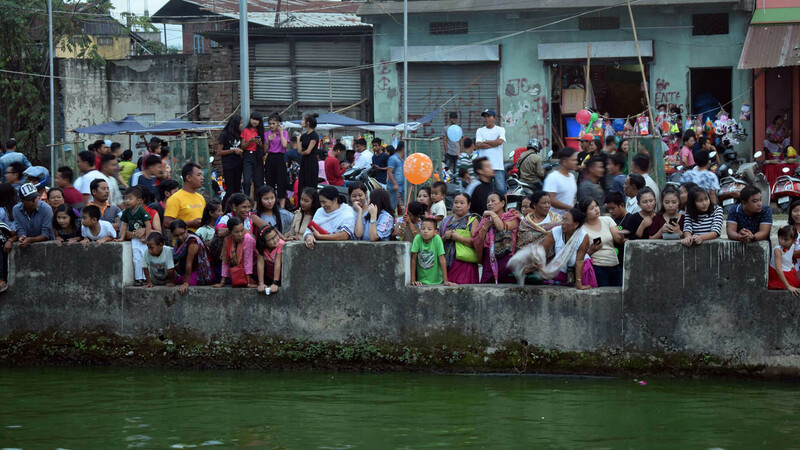 It is an amazing scenario looking at people cheering the rowers and the boats running in the 16-meter-wide canal. 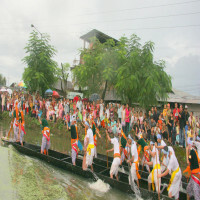 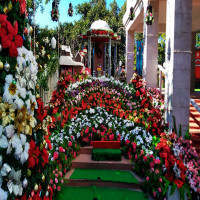 September is the month when this festival happens each year.